Catherine was one of 10 children of Joyce Culpeper and Lord Edmund Howard (1480-1539). King Henry VIII first became attracted to the young girl Catherine in 1540, when he was seeking to end his politically motivated marriage to Anne of Cleves, to whom Catherine was a maid of honour. He had his marriage to Anne annulled on July 9, and on July 28 Henry and Catherine were privately married. He publicly acknowledged her as queen on August 8. For the next 14 months Henry appeared to be much enamored of his young bride. But shortly thereafter, based on charges of infidelity, Henry beheaded Catherine and her two accused lovers, including her distant cousin, Thomas Culpeper. Genealogy of Catherine Howard and Thomas Culpeper. Letter of Queen Catherine Howard to Thomas Culpeper, Spring 1541. Catherine. A review of a play which opened September 1998 at the Chichester Festival Theatre in London. From the pen of William Nicholson, best known for Shadowlands, it is a strongly-crafted defense of Catherine. The Six Wives of Henry VIII. Reviews of two different books written in 1992. One by Antonia Fraser, the other by Alison Weir. Catherine, The text of several chapters from The Personal History of Henry the Eighth, by Francis Hackett, 1929. Rebuttal to some of the claims in Catherine above and a suggestion that the portrait is not Catherine's. die the wife of Culpeper." The Fifth Queen. A 1908 book by Ford Madox Ford was republished by Penguin Books in September 1999 and may be purchased through Amazon.com. Tales from the Tower. A review of a three part series on The Learning Channel. One part covers Catherine's beheading at the Tower of London. The Private Life of Henry VIII. A review of a 1933 Charles Laughton movie. Catherine Howard and her lover, Thomas Culpeper, as well as Diana Princess of Wales and the modern day Culpeppers, are all apparently descended from Sir Thomas Culpeper of Brenchley and Bayhall (1230-1309). This Thomas was the grandson of the earliest Culpepper of whom we have record: Sir Thomas Culpeper (born abt. 1170). In the table below, each line of boxes represents a different generation, and contains the child or children of the person in the box immediately above it. (& Lord Edmund Howard) Thomas Culpeper, d 1542, lover of Catherine Howard. * DNA testing has now raised doubts about the ancestry of Henry Culpepper of Lower Norfolk. Thus, it appears, that the lovers, Catherine and Thomas were 6th cousins, once removed. It is believed by most Culpepper researchers that most American Culpeppers are descended from the Wigsell line, which started with Walter Culpeper of Calais and Wigsell. 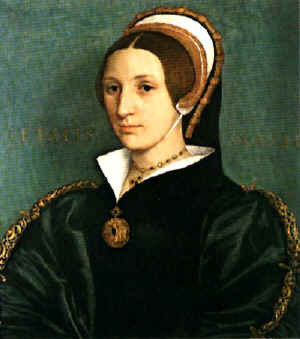 Catherine Howard is a seventh cousin, a dozen or more times removed. Catherine was also a first cousin of Anne Boleyn, Second Queen of Henry VIII, with both being granddaughters of Thomas Howard, 2nd Duke of Norfolk.